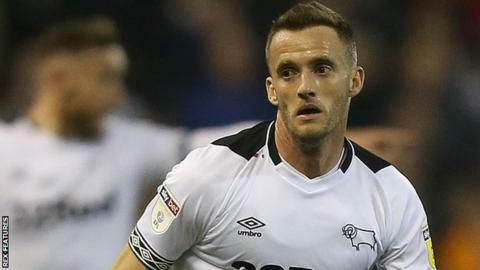 Derby County midfielder Andy King will miss the rest of the season after he injured his ankle in Monday's defeat by Nottingham Forest. The Wales international, 30, limped out of the derby loss and subsequent scans have shown the injury is severe enough to end his involvement this campaign. King made five appearances for the Rams following his January loan move from East Midlands rivals Leicester City. He won the Premier League title with the Foxes, and has played 375 games. Derby, who are seventh in the Championship, have 13 matches remaining this season.